Like to entertain? Need an elegant home with space for your family? Here is your home. This 5 bedroom 4 1/2 bath home features everything you need and want. Gourmet kitchen with granite counters and large center island. Double ovens plus gas stove.. Breakfast area with lots of natural light. 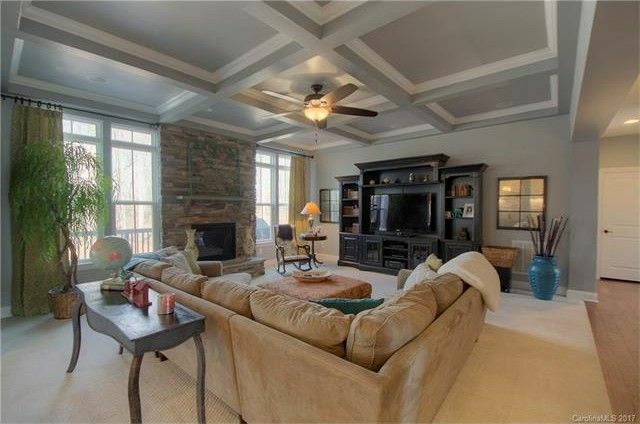 Coffered ceiling in Great room with fireplace, open floor plan, formal dining room and a separate parlor/living room. 1st floor bedroom with full bath. Master bedroom has sitting area PLUS Bonus/bedroom. Directions: From center of Mint Hill turn right on Connell road, (R) on Minnie Lemmond (L) on Raven Top to (R) on Sable Cap. Home on left side, look for sign.